So good to see the road repairs on the road outside Bodiam Church of England Primary School - but why did it take so long to do the work? I am sure that every household in Bodiam had a form from the Rother Council Electoral Registration Officer to say it is important to provide the information requested. Even if you are not making any changes and don’t send the form in you could be fined £1,000. Your vote matters. For more information call 01424 787000. The village cricket club are away to Brede on Sunday September 6 with a 1.30pm start. The next service at St Giles is the Family Service on Sunday September 6. The vicar will be taking the St Giles Harvest Thanksgiving Service on October 4 at 11.15am. 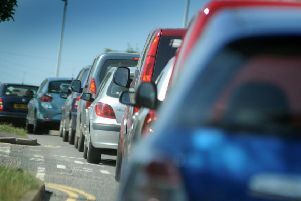 The road from Bodiam to Sandhurst will be closed for three weeks from September 21. This is to put a new beam in the Bodiam Mill Bridge. For more information call Kent County Council’s Highways on the 24 hour helpline. 03000 418181.